Pet policy Breed restrictions apply. 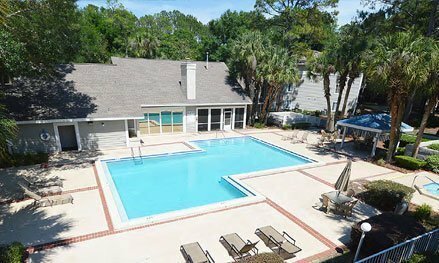 Fairmont Oaks Apartments offer spacious 1 and 2 bedroom apartment homes conveniently located near the northwestern edge of the University of Florida campus. 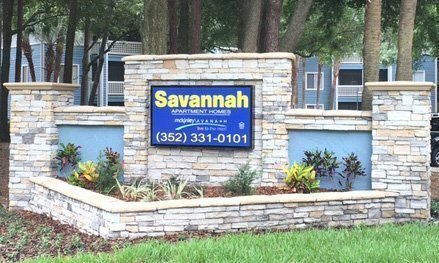 Students of the University of Florida looking for a home convenient to campus and shopping with love Fairmont Oaks Apartments in Gainesville, Florida. Located near the northwestern edge of the University of Florida campus, residents can take the C bus and arrive at the School of Entomology in 21 minutes, or they can stay on the bus just two minutes more to arrive at the Horticultural Sciences building. The C bus stops in front of Fairmont Oaks Apartments every 30 minutes along with the 20, 62, 76 and 77 buses, ensuring that residents can travel to just about anywhere in Gainesville from home. Shopping is right around the corner from Fairmont Oaks Apartments. The Oaks Mall is a 16-minute walk or a 23-minute bus ride from the community. Containing a multitude of shops, fashionistas can find their new look at Macy’s, Forever 21 and Ulta, while those who prefer to stay up-to-date on technology can visit the Gamestop or T-Mobile store. The mall is also surrounded by dining options that are easily accessible from Fairmont Oaks. Residents can have a gourmet burger at Red Robin within the mall, or they can try more exotic cuisine at Yamato Japanese Restaurant which is located outside of the mall. Nature lovers will also appreciate Fairmont Oaks Apartments. By taking the C bus, within 20 minutes, residents will arrive at Split Rock Conservation Center. There, they can hike across 241 acres of varied landscapes and take in visual marvels such as sinkholes, wetlands and hickory trees. 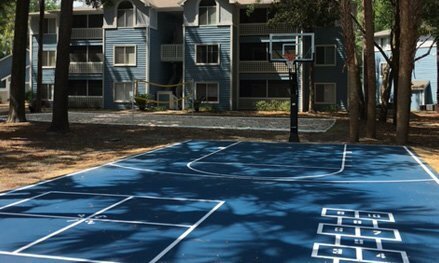 For residents who prefer to stay in rather than head out on the town, Fairmont Oaks Apartments offer a number of fun amenities. A swimming pool and spa ensure that residents have a moment to relax and unwind, but for those individuals who prefer to stay active, Fairmont Oaks Apartments has a sand volleyball court, a basketball court and a 24-hour fitness center. Pets are also welcomed, and the community has a dog walking area. Each apartment home also features large closets, washer and dryer connections and screened porches or balconies to make each unit feel more like home. 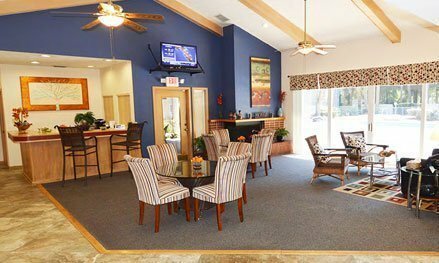 With quick access to campus and shopping as well as its impressive amenities, residents will find it easy to feel right at home at Fairmont Oaks Apartments in Gainesville, Florida.